Help the next generation of girls become creative, confident leaders! A girl’s confidence peaks when she is only 9 years old. Girls With Ideas gives you the tools to make a difference in your school, organization, and community. 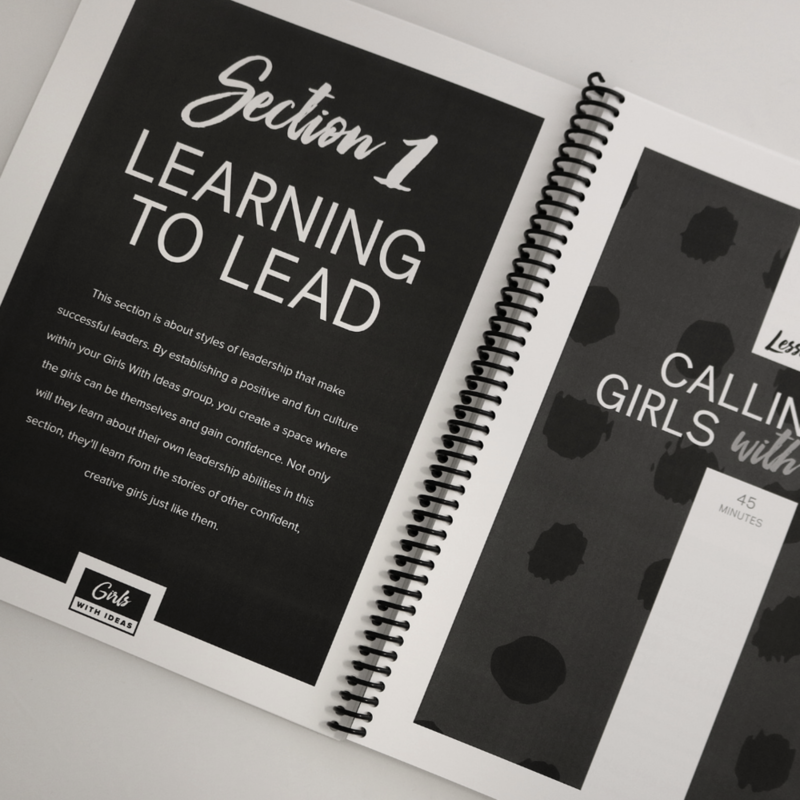 A few years ago our founder, Dr. Allison Poss, was looking for a leadership curriculum to use with a group of 6th grade girls. She wanted to channel their leadership skills in a positive way. Dr. Poss struggled to find a sound program that the girls deemed “cool enough” . . . so she wrote one! Word got out about her group and others wanted her lessons. 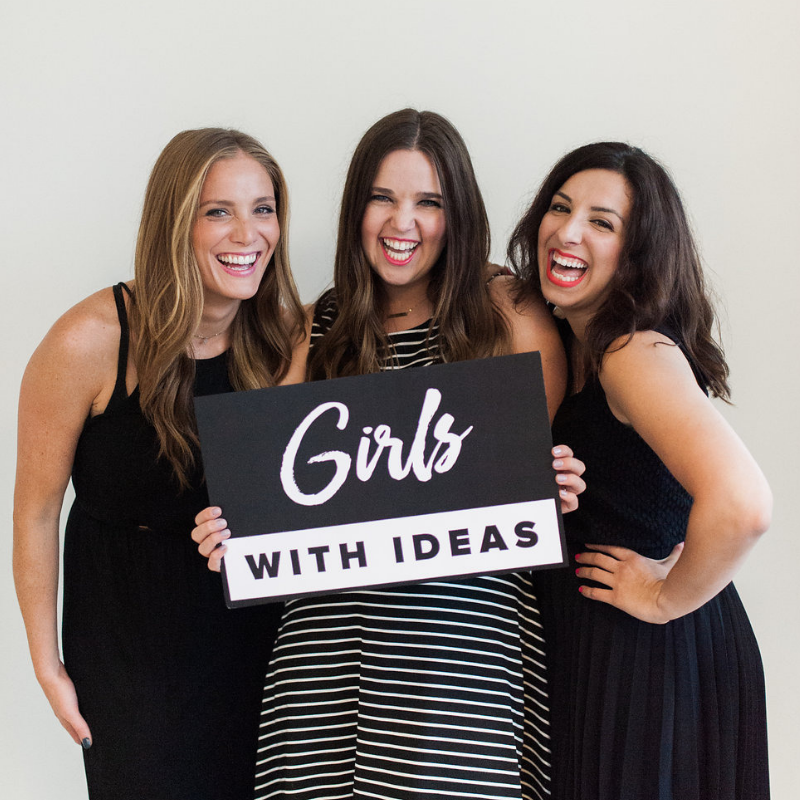 Girls With Ideas was born and now you can have her curriculum too! Skills like leadership, creative problem-solving, and teamwork are going to be necessary more than ever for the next generation. But it’s difficult to intentionally fit in teaching these critical skills with the packed academic load. We provide you with research-based, innovative lessons that require little to no prep. Our tested lessons are guaranteed to be fun, engaging, and memorable. Our lessons target girls 9-13 years old, a time when girls are thinking about who they are and who they want to become. Check out our free resources, leadership style quiz, and products below to see how you can make a difference. Our flagship Curriculum is 20 lessons and comes with a Facilitator Guide and Idea Books for each girl. Our curriculum helps girls come up with an idea for a project together and then make it happen. Learn more about the curriculum and see an outline of the lessons here! These are lessons that you can download immediately! We have lesson bundles focused on leadership, creativity, project management, and helping girls find their voice. Our team of experts will write a custom program for your school or organization. We write curriculum and also design conferences and workshops. We have over 15 years of experience designing leadership seminars for kids around the globe. Fun Fact: We are the only curriculum that directly teaches creative thinking and problem solving! counselor or psychologist looking for a fun, engaging curriculum for your girls' group? teacher or principal looking for an innovative way to engage girls in your school in a positive way? Girl Scout troop leader looking for educational, fun, and easy-to-implement activities that will span multiple meetings and badges yet require few supplies? volunteer at a non-profit or organization that works with girls looking for substantial AND fun activities? coordinator for an after-school program in need of a new meaningful activity that anyone could implement? summer camp director looking for a new camp program that is appealing to both parents and students? THEN GIRLS WITH IDEAS IS PERFECT FOR YOU! My daughter ran for Student Council this year and a main part of her platform was that she is an anchor leader. . . Last year (before GWI), I don’t think she would have even had the confidence to run. I’m so proud of my amazing anchor leader! We saw a total transformation in the girls belief in themselves and their ability to support one another. . . I cannot recommend working with this team enough. They are leading the future. Over 1,200 girls in 25 states and 6 countries have used the Girls With Ideas Flagship Curriculum! Girls With Ideas can be done in established programs or as a stand-alone experience. Use it in schools, community organizations, camps, youth groups or wherever you have a group of girls whose creativity and confidence you want to inspire! We recommend having 3-9 in each small group. If done in a larger setting you can break into smaller groups! Buy our curriculum or apply for scholarship! Determine a meeting time for your group. You could hold once or twice-a-week meetings, a week long camp, or over two weekends. The possibilities are endless! Then open the curriculum and do what it says! You are on your way to creating meaningful leadership experiences to build the next generation of leaders!